London - Hull City manager Steve Bruce hailed his side's performance against Chelsea as their "best ever" in the Premier League but it proved in vain as substitute Loic Remy snatched a 3-2 victory for the leaders on Sunday. Chelsea looked to be in brutal form early on and goals from Eden Hazard and Diego Costa put Jose Mourinho's side 2-0 ahead after nine minutes at the KC Stadium. Undeterred, Hull stormed back and scored two goals in 74 seconds as Ahmed Elmohamady slid the ball home on 26 minutes before Abel Hernandez took full advantage of an error by Chelsea goalkeeper Thibaut Courtois. Hull continued to press the Chelsea goal and forced Courtois to make a terrific treble-save in the second half, but the visitors made them pay for not taking their chances when Remy scored with his first touch after replacing Costa. "Really frustrating afternoon you could say, but arguably it's the best we've played since we've been in the Premier League," Bruce told the BBC. "To respond in the way we did was great, but for me the game hinges on the saves Courtois makes when we're on top. We've had the best opportunities. "When that chance comes, we've had three goes at it and the keeper's made some great saves, but you have to take those chances against sides like Chelsea. "It would've been very easy to capitulate after going 2-0 down, but we didn't do that." Hull are 15th with 28 points from 30 matches, three more than 18th-placed Burnley at the head of the drop zone. The hosts had 19 shots on target as leaders Chelsea failed to cope with their attacking force and Bruce is hoping for more of the same before the end of the season. 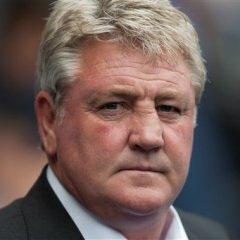 "The players put in a hell of a shift and something like 19 shots on target against a really strong Chelsea team shows we're ready for the challenge ahead," Bruce told Sky Sports. "I thought we really deserved something for it. For that, we're disappointed, but if we keep playing like that, we'll be fine."